Girl is NOT a 4 Letter Word: Girls Skate Night At Element HQ! Girls Skate Night At Element HQ! Save the date! 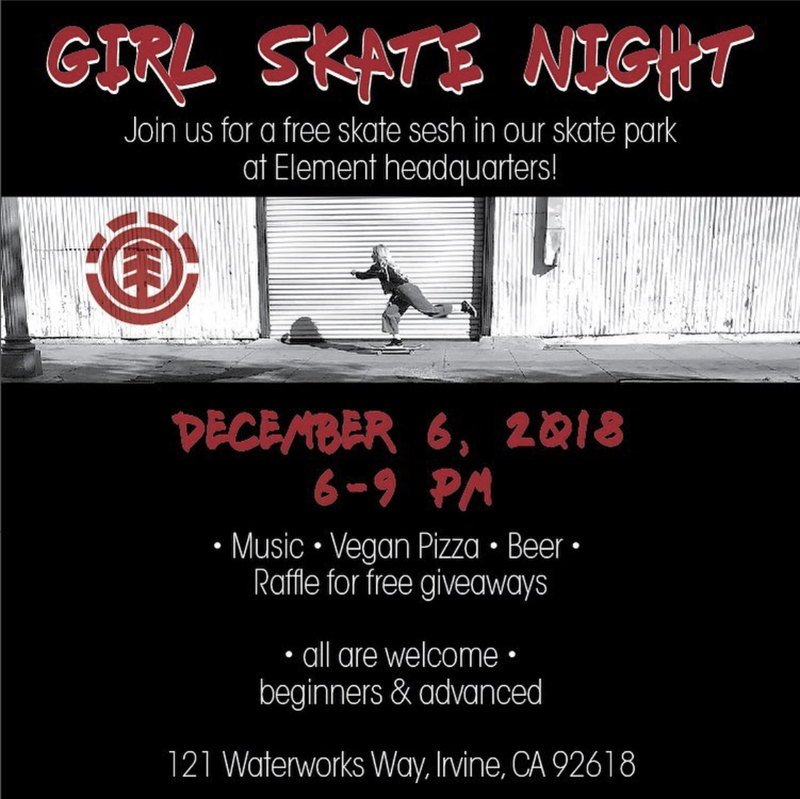 The rad people at Element are having a girls skate night at their private park at their headquarters in Irvine, CA. There will be music, vegan pizza, beer and a raffle for free give-a-ways! So grab your girl gang and make a night of it!